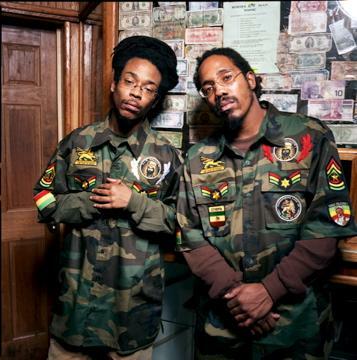 As their name suggests, Duo Live (note the capitals) are a Brooklyn, New York, USA-based rap & hip-hop pair. For Duo Live the premise was inconceivable. How does an uncompromising hip-hop act from Brooklyn, New York go from garnering hood infamy from their legendary mixtape CDs and stage shows to being lauded throughout the music industry by the likes of superstars Jay-Z and Alicia Keys? How is it possible that the street-praised tandem of respected lyricist Fre and prolific DJ/producer Sid V release their critically acclaimed official debut 2004 album 1st H. I.M.pressions and attract mainstream acclaim from such publications as Billboard Magazine, The Source, King, and Vibe all without the backing of a major label? Its that same brand of straight-no-chaser hip-hop and two-fisted ambition that drives much of Duo Lives buzz-heavy follow-up, The Color Of Money. The Redemption Music Group release, distributed by Mediaworld/Lightyear/WEA, finds the duo once again in its stripped-down element, creating a potent work that goes beyond its monetary-driven connotations. “The title just fits with Duo Live because we are hustlers in this music game,” Fre says, referring to the group’s reputation as pioneers in the mixtape CD street market. “The Color Of Money is a social-economic syllabus on how to be a real hustler and understand the power of money because it’s easy to get trapped in this paper chase. If you just look at the trends in hip-hop right now everybody is really caught up in the hustle game. We all want to get money because we affiliate it with a certain level of happiness and success.